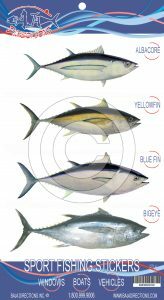 Solana Beach, Calif. – June 1, 2007 – Baja Directions, Inc. has launched 7 new chart titles in the last two months to augment their Southern California Series product line of fishing charts. Now with over 700 fishing locations and 1000 GPS coordinates packed throughout 16 chart titles covering the entire Southern California coastline, Baja Directions certainly has something to intrigue every saltwater fishing or boating enthusiast. The new charts are based on pages of the company’s popular Sportfishing Atlas Southern California Edition, released in December 2006. Baja Directions fishing charts are unlike anything else on the market in that they contain both GPS numbers of popular fishing spots and unique spatially accurate habitat information, allowing experienced anglers to find new spots. Baja Directions charts reveal the location of fish-holding habitat like rocks, reefs, wrecks and hard bottom areas, as well as historical locations of eelgrass and kelp beds. All spatial information in the Southern California Series is gleaned from leading scientific resources, ensuring accuracy and precision. Boat launch ramps, kayak launch areas, piers and popular shore fishing locations show access points for all types of saltwater fishing. Baja Directions harbor charts include facilities information useful to any boater, divulging the location of bait barges, fuel docks, holding tank pump-out areas, Coast Guard stations and restricted areas within the harbor. Baja Directions, Inc. is proud to have their product line offered throughout Southern California’s community of fishing and boating retail stores. Look for the company’s popular charts of Southern and Baja California on display, as well as their Southern California Atlas and regulation fish ruler in the saltwater fishing section. Better yet, ask a clerk and they will locate them immediately. Buying a Baja Directions product is your first step in eliminating unproductive water and fishing where the fish are! Located in Solana Beach, Calif., Baja Directions, Inc. has been developing fishing chart products of the Southern California Bight and Baja, California since 1997. The revolutionary Baja Series of fishing charts were introduced to the retail market in 1999 and the Southern California Series in 2000. ← There are no current positions at this time.